1. First and foremost, a budget highlights program plans for the upcoming year. Schools are always evaluating their previous budget, monitoring their current budget, and planning their next year’s budget to better understand how funds help teachers, staff, and students in the district. It also outlines how the school district will use public state and federal funds to educate children in the community. 2. 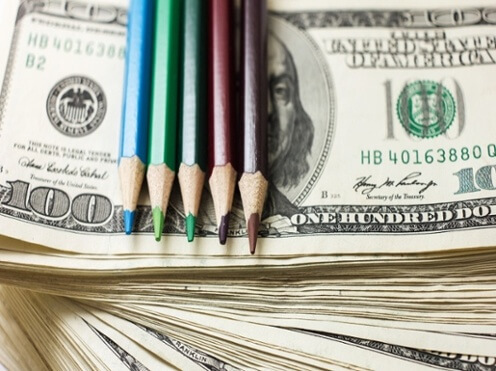 Public schools tend to allocate funds in a different way than other businesses do, and their budgets can differ quite significantly from other industries. Most businesses put 35 percent of their funds into their personnel and benefits, for instance, as compared to public schools that double that. In fact, some schools boost up to 85 percent of their funds into personnel, according to the American Association of School Administrators. 3. Decision makers at the local, state and federal levels often dictate how schools can spend money through rules and regulations called mandates. Several areas of the budget can be influenced by building codes, class size requirements, teacher qualification minimums, and more. School administrators, school boards, school employees, and community members work together at the local level to put together a budget that is then influenced by state legislators, the state education agency, federal legislators, and the federal education department. 4. The major school district budget categories may cover more than you think. Departments that typically fall under a school budget include transportation, facilities, energy, health and safety, instruction, curriculum and staff development, food services, library services, counseling services, and school leadership. Under the transportation category, for example, the budget covers not only the buses but also the drivers, GPS equipment, routing software, and school bus apps that help parents track their students. 5. The budget process is an ongoing, year round routine. Although the fiscal year kicks off once a year, school administrators and district leaders keep an eye on the numbers throughout the school year as they change programs, do maintenance, and watch student numbers grow. Now that software allows department heads to track information quickly and more consistently — by monitoring bus maintenance and efficiency through the SafeStop Analytics dashboard, for example — they can make educated updates and calculations as they go, keeping this year’s budget on track and making next year’s budget even more accurate.